*Entrance will open earlier to Premium Ticket holders. Please visit the official website for more information. 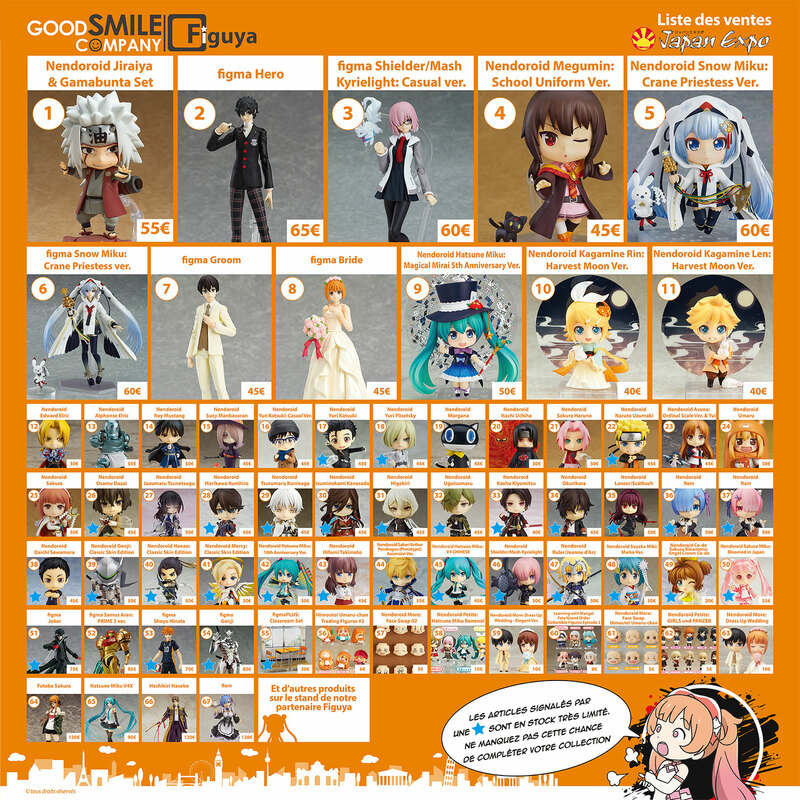 Good Smile Company will be attending Japan Expo 2018 taking place in France from 5th to 8th July 2018. We will have a number of product samples on display and will also have exclusive items on sale at the event. Be sure to stop by booth K680 in hall 6 if you’re at the event! You can also find us by following the banner with our logo. *Products will be sold in local currency. Please confirm prices at the event. *Stock is limited. Arrive early to avoid disappointment.